Too many times the EdTech discussion circles around irrelevant matters: are teachers still needed in the future or should we limit screen time in schools. Digitalisation has improved processes in all industries and the same transformation has started in the education sector. Instead of seeing threats, we should focus on developing the best pedagogical practices for the use of technology and make sure it's used in the right way. This text introduces some of the main pedagogical principles for the classroom use of educational technology. Classrooms tend to be very hierarchic. And not always in a good way. A teacher is an all-knowing expert who kindly offers information for students. In order to give the ownership of own learning for the student, it would be justified to break this hierarchy a bit. It works great when using technology. For many students, computational thinking comes naturally. Their skills can be used for the benefit of the whole class, which makes teachers' lives easier as they can focus on teaching, not giving tech support. In Finland, we have a great system built around this idea. It's called "student agents” program and the idea is simple: students are teaching tech related things for peer-learners and teachers. These students are the "tech experts" in schools and their responsibilities vary from teaching how to use specific tools to administrating hardware or building courses for media education for example. This works equally well in primary, secondary and high-schools. When teaching music with music apps, I always faced the same problem after first few lessons. The music making activities were more of playing around with the app than actually composing and learning. In order to solve this challenge, I came up with seven steps to make the process more goal-oriented (I will introduce the steps in the next post). Goal orientation made the activities more meaningful and we started getting better outcomes, meaning more ready-made songs and more motivated students. Tech is great to be used for making movies, photographing, editing, writing etc. but these activities should always be well framed and goal oriented. So, in case you are using an open-ended tool with your students, come up with a task or project which provides a clear goal for students. Phenomenon-based learning has been a buzzword in Finnish education for the past few years. Schools and teachers have the possibility to scrap the subjects and replace them with “topics”, as long as their teaching aligns with the national and local curriculum. As technology is great for producing and sharing learning materials and conducting long-term projects, a cross-disciplinary approach can be used more easily. The benefit of cross-disciplinarity is that it supports students to build a deeper understanding of different topics, be able to see the causal relationships and understand the big picture. Things that have been done using technology can be recorded efficiently, allowing continuous assessment. Gamification, creativity, self-expression and social interaction are elements which are known to enhance motivation when being part of the learning experience. Technology makes the implementation of these aspects relatively easy. Many times these aspects come in naturally when using digital learning solutions. However, taking the full advantage of these benefits requires being aware of them when planning the lessons. Make sure the lesson includes sharing of the outcomes, giving peer feedback, possibilities to achieve something and allowing learners to use their imagination. 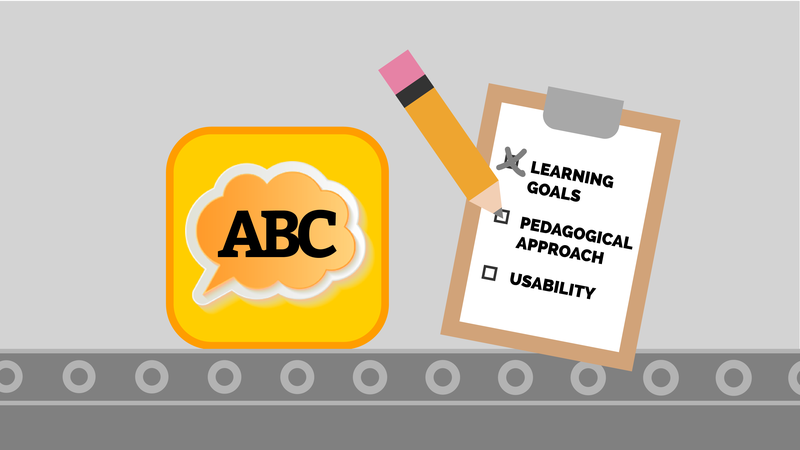 As proposed in the beginning, instead of being afraid of the problems that may appear when using tech in classrooms, we should rather focus on coming up with the best pedagogical practices to benefit from it. After all, we live in a world where technology is omnipresent and schools can’t isolate themselves from it. It’s better to face the challenges, find ways of solving them and take the most out of the possibilities that technology has to offer.